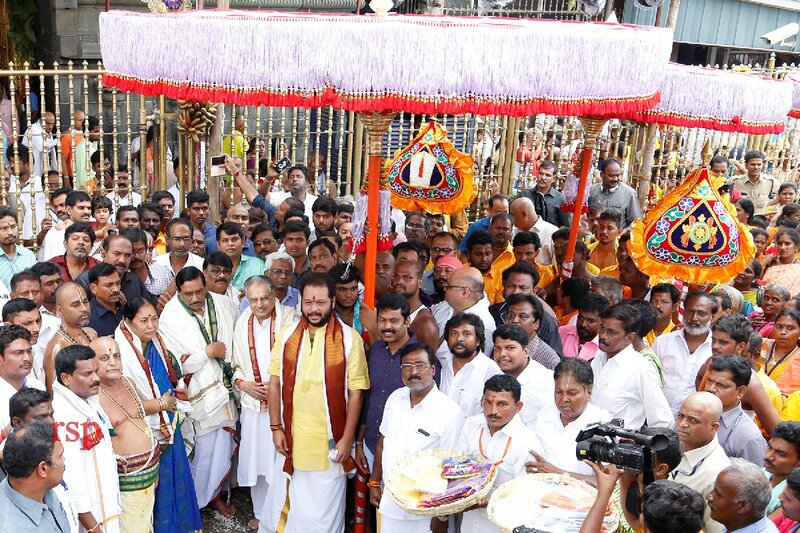 Srivalliputhur temple (Tamil Nadu) made of tulasi, sevanthi and sampangi flowers reached Tirumala on Thursday for presentation to the presiding deity of Lord Venkateswara on Garuda Seva day on Friday. 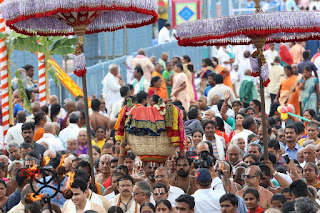 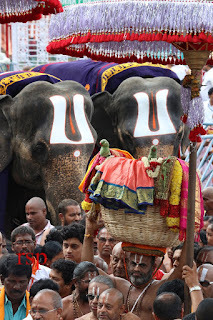 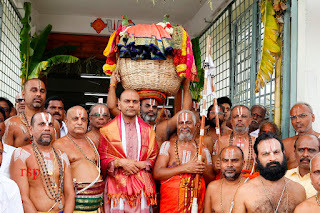 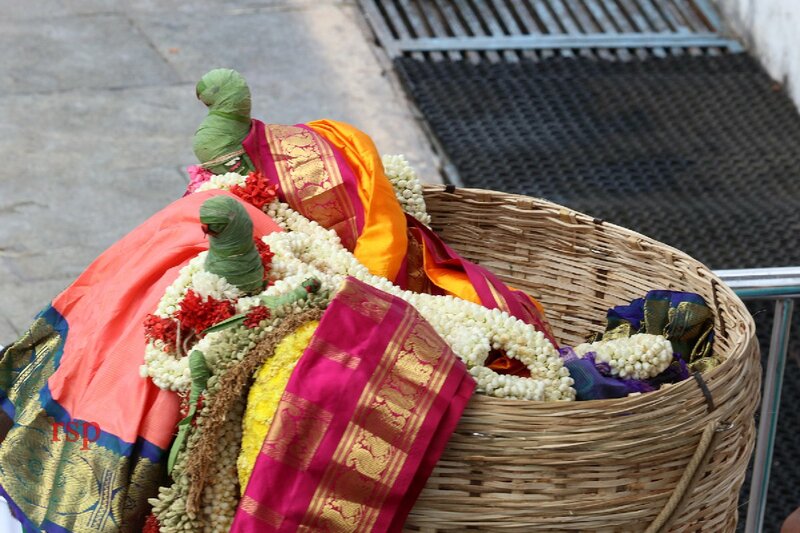 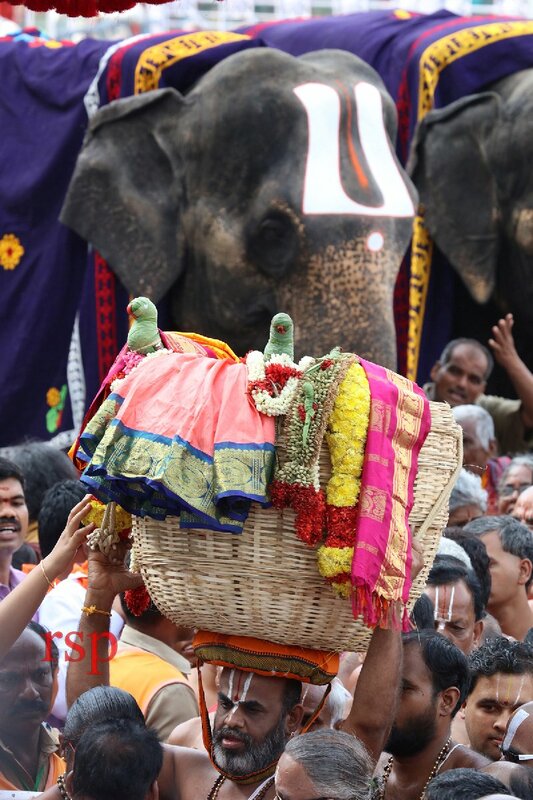 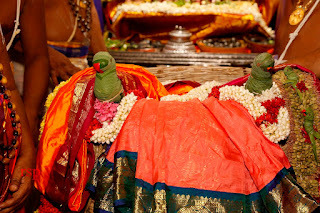 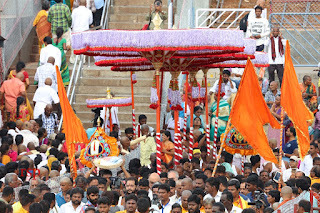 The two garlands also known as Andal mala and Shikamani malas kept in big baskets were offered by two families of flower makers of Srivalliputhur, 650 kms from Tirupati, and were accompanied by around 50 devotees in several vehicles carrying the garlands on their heads. 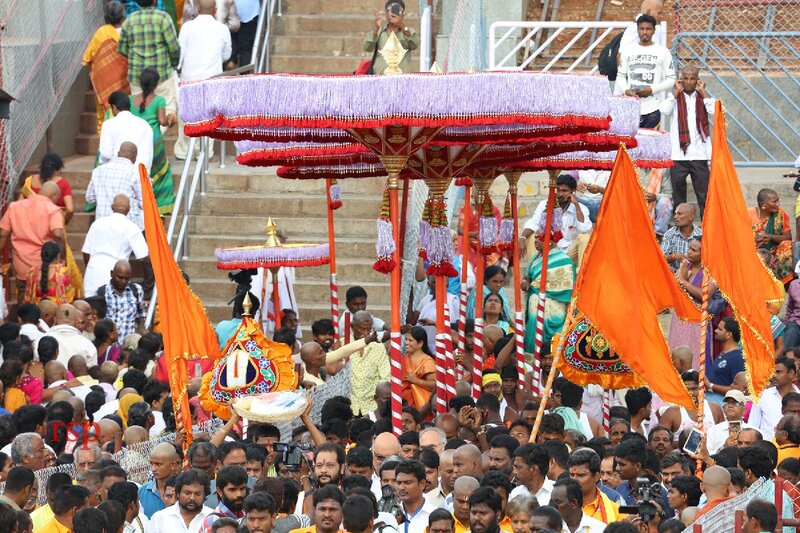 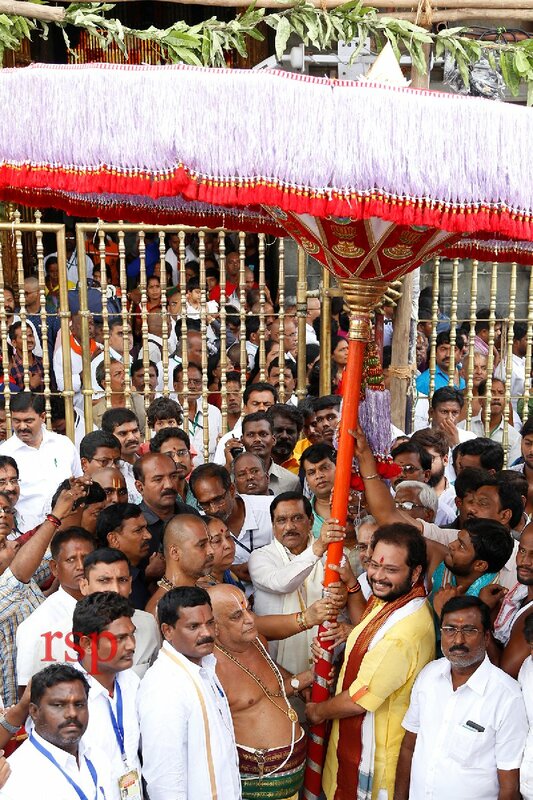 Meanwhile, the colorful and bright umbrellas donated by the Chennai- based Hindu Dharmarta Samiti, meant for decorating the utsava idol of Lord Malayappaswamy on the Garuda Seva day finally reached Tirumala, a day before the main event of the ongoing Brahmotsavams.